How to watch Peaky Blinders: Season 4 (2017) on Netflix Taiwan! Sorry, Peaky Blinders: Season 4 is not available on Taiwanese Netflix, but you can unlock it right now in Taiwan and start watching! With a few simple steps you can change your Netflix region to a country like Australia and start watching Australian Netflix, which includes Peaky Blinders: Season 4. We'll keep checking Netflix Taiwan for Peaky Blinders: Season 4, and this page will be updated with any changes. 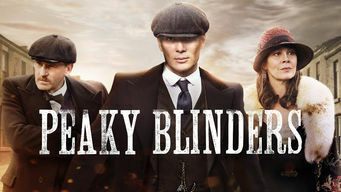 Peaky Blinders: Season 4 is not available in Taiwan BUT it can be unlocked and viewed! A notorious gang in 1919 Birmingham, England, is led by the fierce Tommy Shelby, a crime boss set on moving up in the world no matter the cost. A murderous English street gang. A veteran Irish lawman called in to bring them down. Blood will be shed. 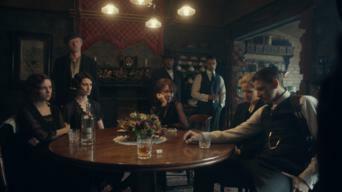 Season 1 of Peaky Blinders has 6 episodes. Because different Netflix countries have different availability for episodes, you'll need to check the episode listing below to see which are available in Taiwan. Ambitious gang leader Thomas Shelby recognizes an opportunity to move up in the world thanks to a missing crate of guns. Thomas provokes a local kingpin by fixing a horse race and starts a war with a gypsy family; Inspector Campbell carries out a vicious raid. Thomas schemes to get closer to Billy Kimber at the Cheltenham races, and considers an offer from IRA sympathizers to buy his stolen guns. As his war with the Lee family escalates, Thomas harbors suspicions about his brother's fiancée; Campbell pressures the gang to deliver the guns. Thomas deals with an IRA chief bent on avenging his cousin's death; Grace must decide whether her loyalties lie with Campbell or Thomas. Thomas prepares to oust Billy Kimber from power, but family secrets that come to light and the obsessed Campbell may prove his undoing. Season 2 of Peaky Blinders has 6 episodes. Because different Netflix countries have different availability for episodes, you'll need to check the episode listing below to see which are available in Taiwan. When Birmingham crime boss Tommy Shelby's beloved Garrison pub is bombed, he finds himself blackmailed into murdering an Irish dissident. After murdering an Irish dissident, Tommy has no choice but to be a pawn in Inspector Campbell's treacherous political game. After joining London crime boss Alfie Solomons in a business venture, Tommy worries that Alfie's newly revealed volatility could pose a problem. The Peaky Blinders take over London's Eden Club; Sabini convinces his old adversary Alfie Solomons to join forces and eradicate the gang. The Peaky Blinders are under attack. Tommy's power base in London is obliterated, and both Arthur and Michael are arrested and imprisoned. Tommy plans to execute the mission given to him by Campbell: the assassination of a high-ranking member of the military establishment. Season 3 of Peaky Blinders has 6 episodes. Because different Netflix countries have different availability for episodes, you'll need to check the episode listing below to see which are available in Taiwan. On Tommy's wedding day, a new business partner arranges a secret transaction. Arthur has found a godly woman, and Polly meets an attractive man. A careless threat sparks a war. Tommy gets a rare form of payment, but his bosses flex their power to keep him in line. Polly commissions a portrait. 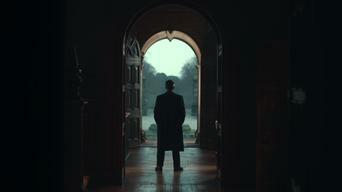 Tommy travels to Wales seeking absolution, and uncovers a traitor in the Economic League. Michael develops a taste for guns. Arthur gets good news. Polly goes to confession, igniting a chain of events that reveals a trap being laid at the Shelbys' expense. Tommy plans an exit from dirty business. Realizing he's being outmaneuvered by the Russians, Tommy seeks help from a former business partner. Polly's new friendship becomes something more. Season 4 of Peaky Blinders has 6 episodes. Because different Netflix countries have different availability for episodes, you'll need to check the episode listing below to see which are available in Taiwan. At Christmastime 1925, members of the fractured Shelby family get word that the New York Mafia is coming to avenge murders they committed a year ago. Reeling from their loss, the Shelbys gather in Small Heath, where Tommy calls for a family truce in order to launch an offensive against the Mafia. Linda tries to distract Arthur, who later gets caught in an ambush. Tommy is reminded of who he was before the war. Polly meets a man from her past. The Mafia tries to lure one of the Shelbys into a trap. Tommy is visited by an old flame. Lizzie receives unexpected news. 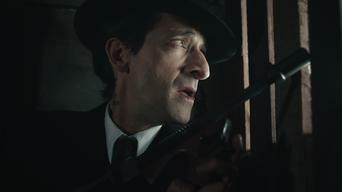 Despite being outnumbered, Tommy starts a shootout with the Mafia. 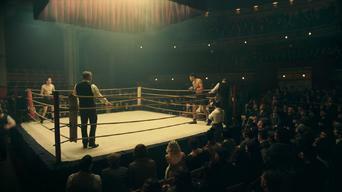 Luca Changretta approaches Alfie Solomons. The British military seeks out Ada. 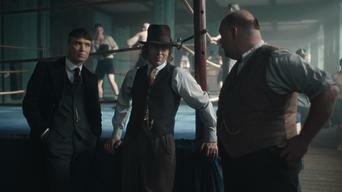 During the boxing match, Arthur follows a hunch. 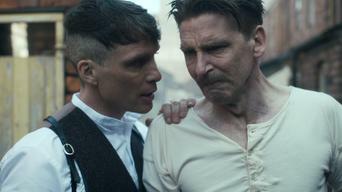 Tommy is inspired by some words of wisdom from Alfie Solomons and gets valuable intel from Jessie.